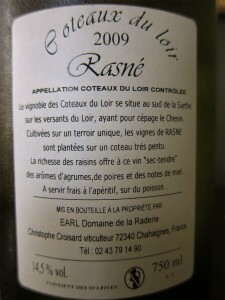 Loire Valley- Cabernet Franc with Altitude! 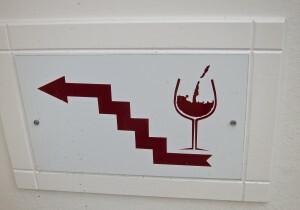 Shopping for some lighter bodied red wines reminded me of why the Loire Valley is such an interesting wine region. 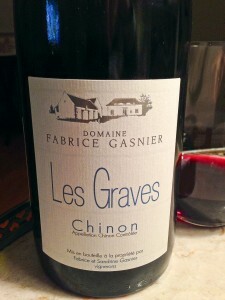 In the central Loire Valley, the predominant red variety is Cabernet Franc. 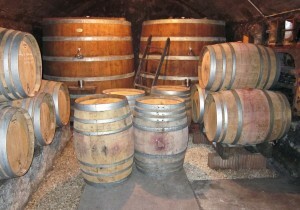 That one grape produces a number of different types of wine (sparkling, still, rose, light-bodied through full bodied). These different styles are made possible by the diversity of the soil and altitude. 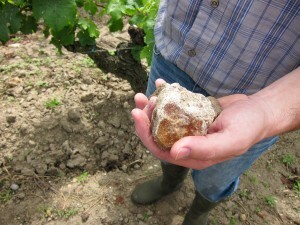 Lower elevations (nearest the Loire river) are made up of sandy soils. The wines produced here are fruity and lighter bodied. 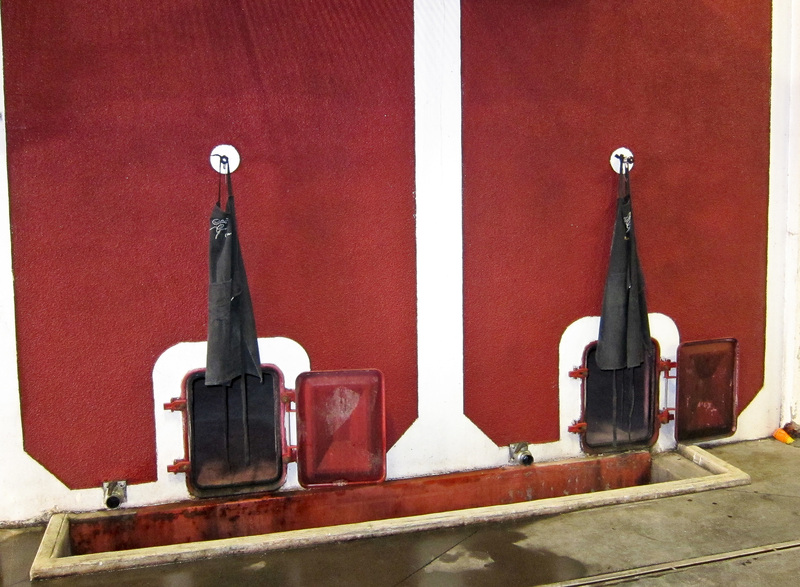 Most wines are treated in stainless steel and/or concrete to keep the fresh flavor of fruit. They are best enjoyed chilled and are great summer sippers. Mid elevation (gentle slopes) are made up of sand and gravel. The wines produced here can be fermented and aged in stainless, concrete and/or some light or neutral oak. 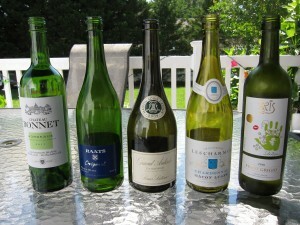 These are middle weight wines that can be enjoyed before dinner by themselves or with food. The highest elevations including steep slopes and or the tops of hills are generally composed of limestone, also know as Tuffeau (too fo). This is a chalky, yellowish marine limestone that helps provide unique characteristics to some of the oldest vines and the most complex expressions of the Cabernet Franc grape. The wines from this soil are generally aged for longer periods of time in oak which provides more structure. Excellent examples of a light bodied Cab Franc (Fabrice Gasnier Les Graves) and a fuller bodied wine (Baudry Les Clos Guillot). 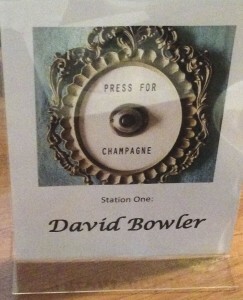 Attended a recent Champagne tasting at PJ Wine. Meeting with some very knowledgeable reps provided some great wines and some new (to me) “insider” information. The primary grapes used for making Champagne are Chardonnay (white grape), Pinot Noir, Pinot Menuier (red/black grapes). Most Champagnes come from a blend of all three. Meunier gives fresh fruit and energy, Pinot Noir gives body and backbone, Chardonnay, high in acid provides the ability to age. Champagne made with only Chardonnay (or very rarely, Pinot Blanc) is called Blanc de Blanc– white (wine) from white (grapes). Champagne made with 100% Pinot Noir, 100% Pinot Meunier or a mixture of the two is called Blanc du Noir– white (wine) from black (grapes). After having “a few glasses” of wine for dinner I decided to open up a special bottle of dessert wine that we brought back from a trip to the Loire Valley. I thought the label read Coteaux du Layon which is a well known area (appellation) for sweet white wines made from Chenin Blanc. Opened it and thought, “this doesn’t smell like dessert wine” (rich and honeyed). “Maybe it needs to open up”? Drank it and immediately knew it was a dry wine and unfortunately, a pretty good one. Looked again at the region on the bottle which read Coteaux du Loir. 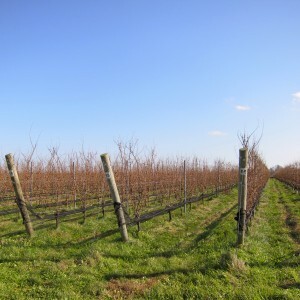 This appellation produces mostly dry wines. Looking at the label of a traditional Old World wine is NOT helpful. Many times I advise people to turn the wine around and look at the “second” or back label. This is usually put on by the importer so it is more American friendly with copy in English and the information that we are used to seeing on the label (grape variety, tasting note, food pairing inf0). Not this time. Oh well …happens to us all…at least it was the right color! Two years ago I setup a Rosé wine tasting for family and friends to see if we could all agree on a summer favorite. Click to read. 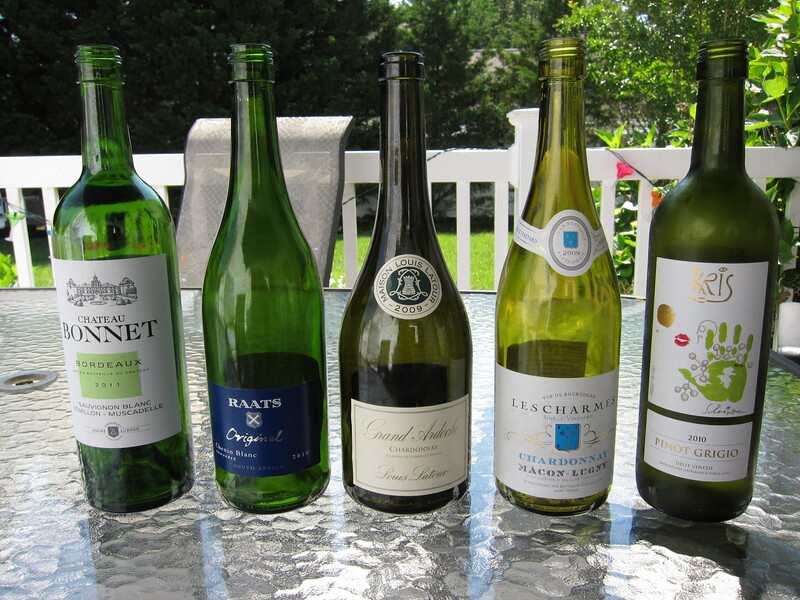 The group asked if we could do it again, with white wines, so I was happy to oblige. • They are inexpensive, all under $15, and a few under $10 on sale. 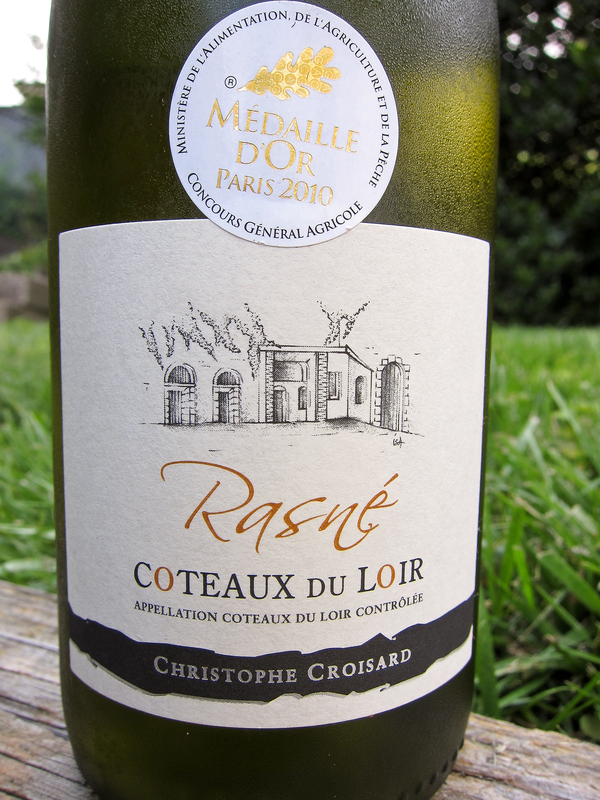 • All are relatively easy to find- they are carried in most wine stores in the country. • They are consistent-not too much variation from vintage to vintage. Granted, these wines aren’t going to blow you away with layers of complexity, but let’s be honest… summer wines should be simple, well chilled, and refreshing. *All wines were tasted blind with tasting sheets for the drinkers to circle flavors, grape variety, country of origin and to write comments. 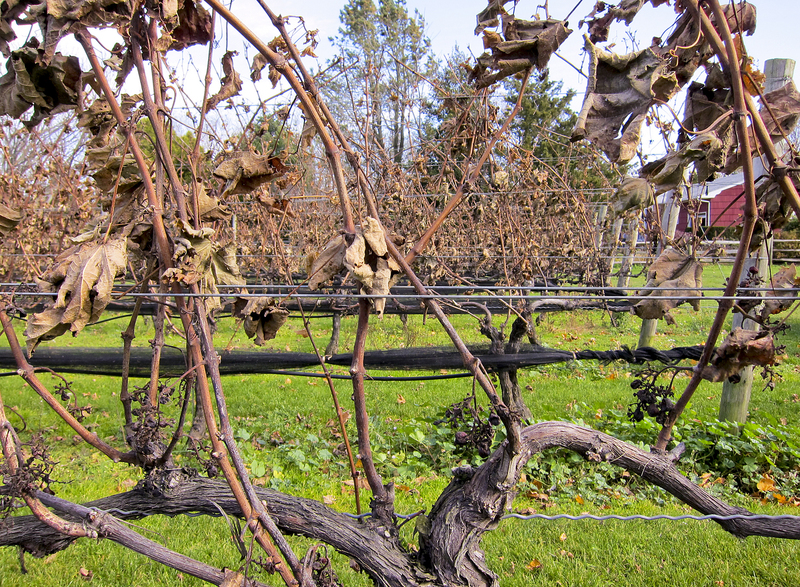 What adult loves a big pile of leaves…Cabernet Franc anyone? This weekend I traveled to the North Fork Wine Trail but when I returned home I needed to clean up the many scattered leaves that are a constant reminder that winter is soon approaching. The smell of the leaves swirling in the fall wind took me back to the vineyards and tasting Cabernet Franc. Cabernet Franc is native to Bordeaux, France. 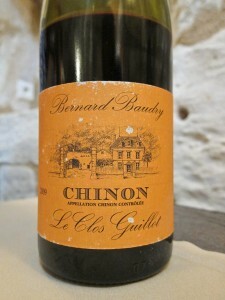 Generally it is used as a blending grape along with Cabernet Sauvignon and Merlot. But in some areas of the Right Bank of France (Pomeral and St. Emilion) along with the Loire Valley, they use Cabernet Franc to make a single varietal wine. These wines have aromas of fall leaves, potting soil, wet bark as well as tea, and some other spices. If you have ever stuck your head into a damp pile of raked leaves you will recognize the scent. 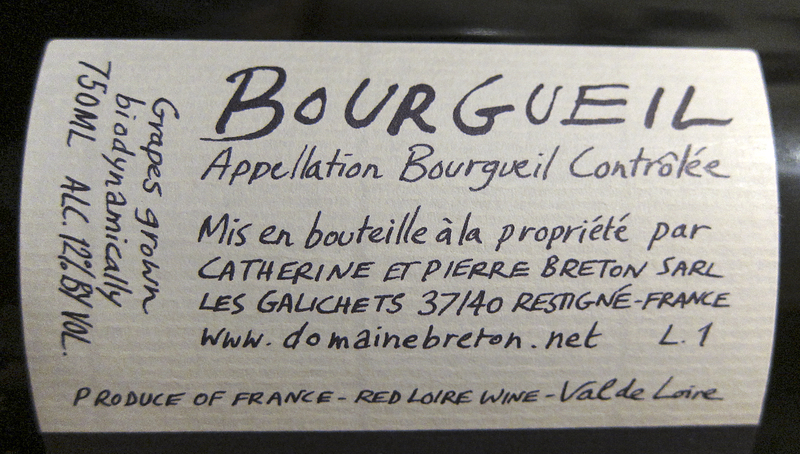 Cabernet Franc is called by many names: Bouchy (in the Southwest of France), Bretton, in the Loire Valley, and Bouchet on the Right Bank of Bordeaux. 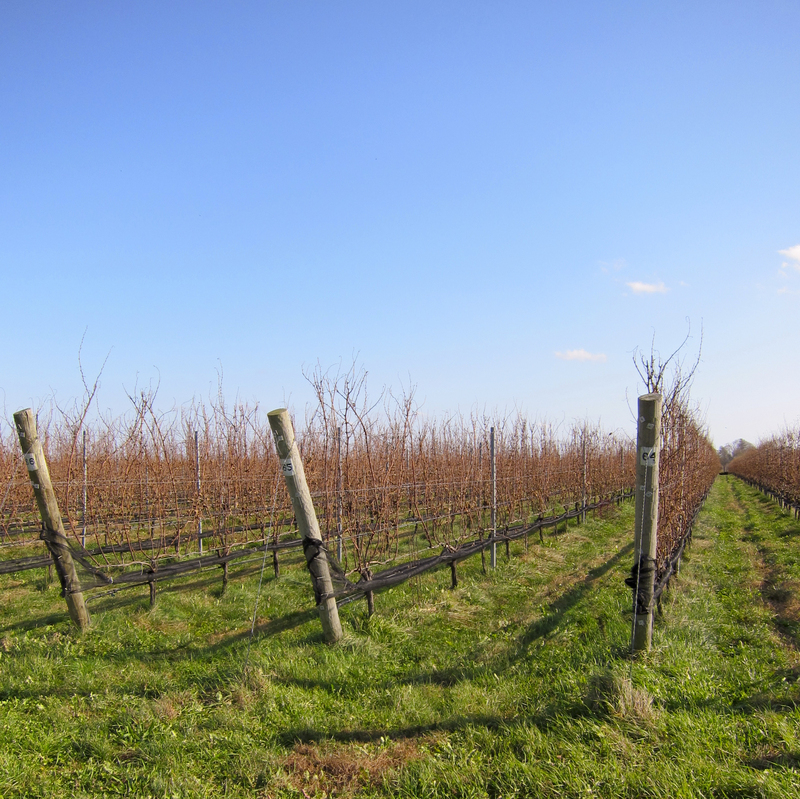 The grape has more recently found a home on Long Island where the conditions are well suited for growing single varietals that share the same woodsy components of the French wines. 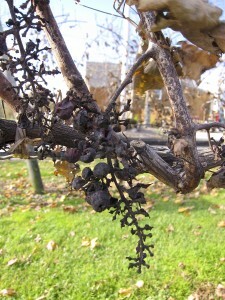 Cabernet Franc actually crossed with Sauvignon Blanc, to create Cabernet Sauvignon, but it is lighter in tannin and color (pigment) than Cabernet Sauvignon. The lower tannin makes it is easier to drink on it’s own, yet it is also very food-friendly, easily pairing with a number of fall dishes like roasted butternut squash or pumpkin soup. 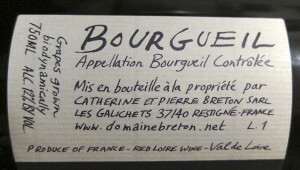 If you would like to try an example of a French Cab Franc, Bourgueil Nuits d`Ivresse Breton is an easy drinking excellent value from the Loire Valley. The name of the wine translates into “Drunken Nights”. 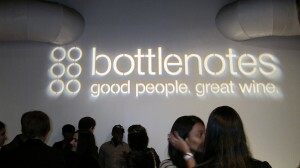 I attended an excellent event thrown by Bottlenotes– Around the World in 80 Sips. This is a great opportunity to learn while “drinking around the world”. 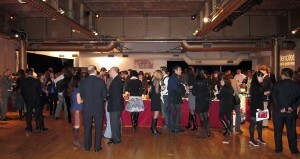 Virtually every style of wine can be sampled in one place.